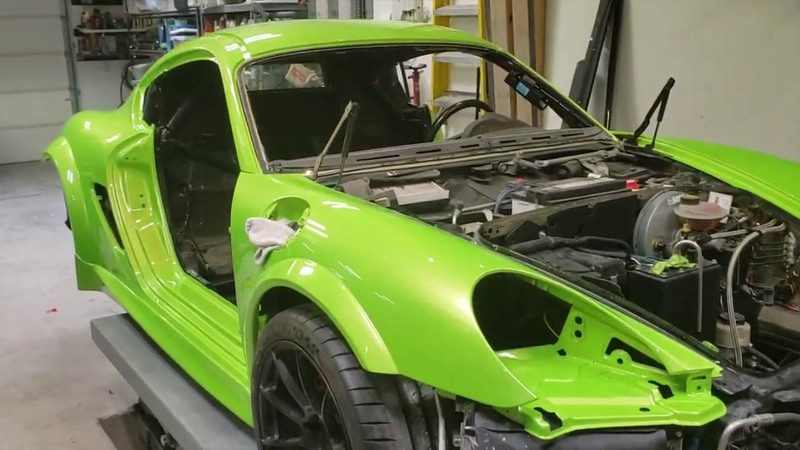 Jordon Musser released a new video on his Porsche Cayman S project. If you are unfamiliar with the build, it features a twin-turbo LSA V8 capable of 1,500 horsepower and Lamborghini Gallardo transaxle. In this video Jordon shows off the amazing Lamborghini Verde Ithica paint job that took 21 hours in the paint booth alone and countless hours for prep/correction. Listen as Jordon explains all the work completed since the last update and what’s coming next.